Miami’s No. 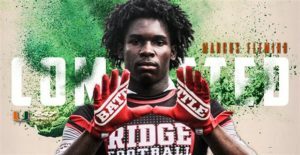 1 ranked 2020 recruiting class added a dynamic playmaker on Wednesday as Miami Southridge three-star wideout Marcus Fleming gave a verbal pledge to the Hurricanes while in Coral Gables on an unofficial visit. Fleming, who is ranked by 247Sports as the nation’s No. 288 prospect for the next cycle, picked the hometown school over early offers from Florida, Penn State, Georgia, Nebraska and Tennessee. Fleming led Miami-Dade County last season in both receiving yards and receiving touchdowns after hauling in 22 passes for 696 yards and 8 scores on a Miami High squad that made it all the way to the 8A state semifinals. The rising sophomore has since transferred to Southridge where he’s expected to take over Miami 2018 wide receiver signee Mark Pope’s role in the Spartans’ offense. Mark Richt does as well. Fleming dominated one of UM’s 7-on-7 tournaments two weeks ago and quickly earned an offer from Dugans. He told InsideTheU’s Chris Stock right away after he picked up a bid from the Hurricanes that Miami was probably going to be hard to beat. Fleming might only be pegged as the No. 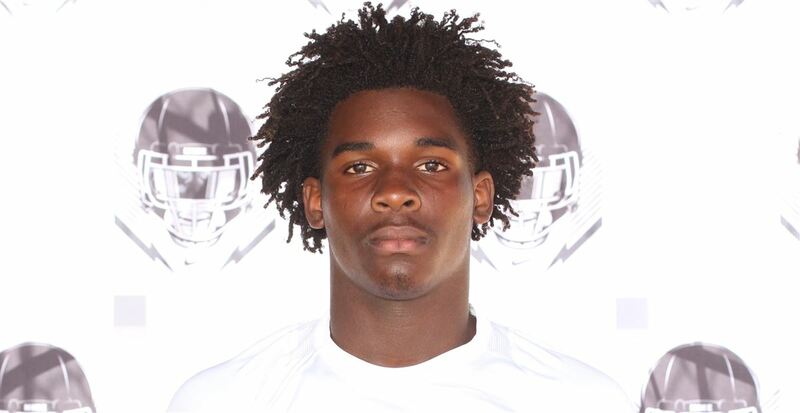 58 wide receiver prospect in the country, but some think that he has a chance to move up in the 247Sports rankings especially after putting together a strong offseason for the South Florida Express on the 7-on-7 circuit. “Marcus was a huge part of our success. He’s an unbelievable player now but still has tremendous upside,” SFE coach and founder Brett Goetz said. Fleming (5-11) finished fourth in the 3A 200-meter dash back in April clocking a 21.48 up in Jacksonville. He becomes commit No. 8 for the Hurricanes in the Class of 2020 after Miami Columbus three-star defensive lineman Elijah Roberts joined the fold this past weekend and is the second wideout in the class joining Hialeah Champagnat Catholic’s Marc Britt.